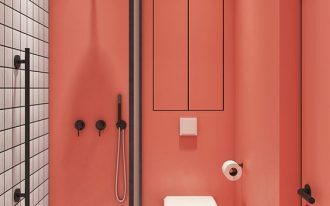 When you are bored with your bathroom design and layout, you can try to change one of the bathroom features. You may also replace the old bathroom walls and floor tile with the new ones which are more decorative. 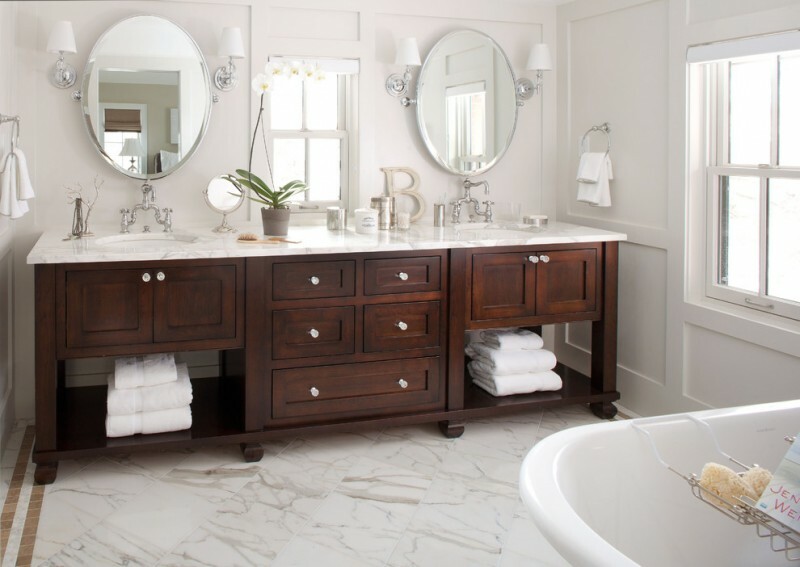 Bathroom vanity refacing is also a great idea. 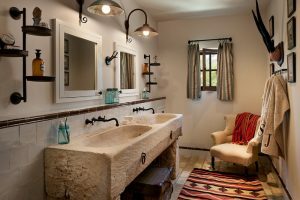 It can create a new appearance and style for the bathroom. The bathroom vanity refacing may also give more accessories for the bathroom since you may get a new cabinet, sink, wall sconce, and mirror. It will be good if the bathroom vanity has more functional features. 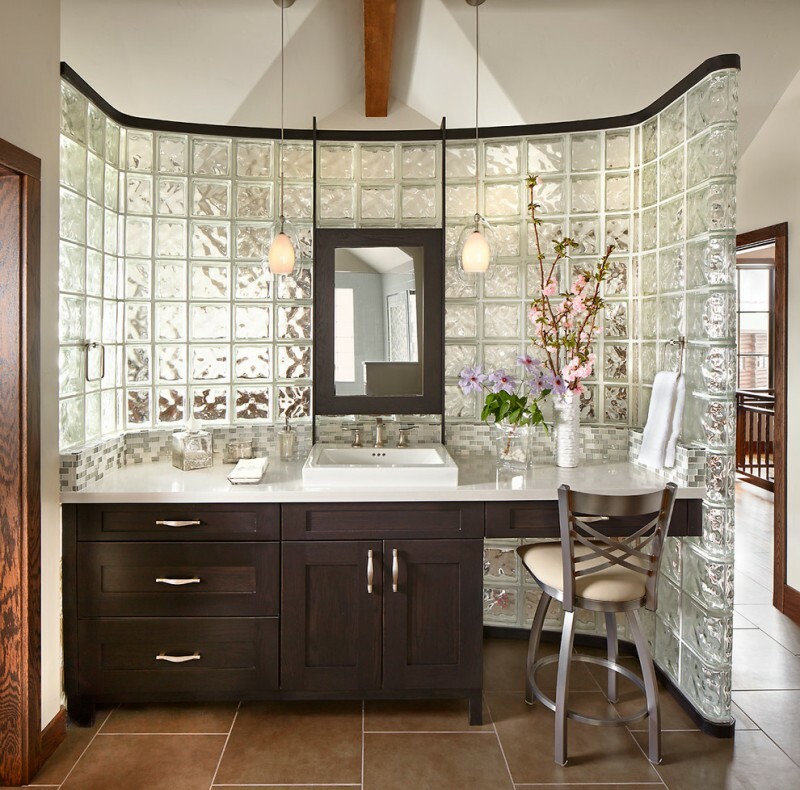 The following are some smart bathroom vanity refacing ideas that will inspire you to create a new look in your bathroom. 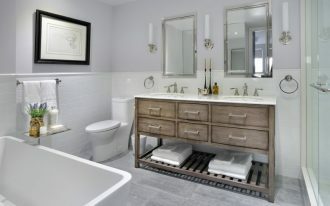 This white floating vanity with flat drawers, porcelain sink bowls, faucets, white countertop makes the dark bathroom brighter and can become a unique bathroom feature. 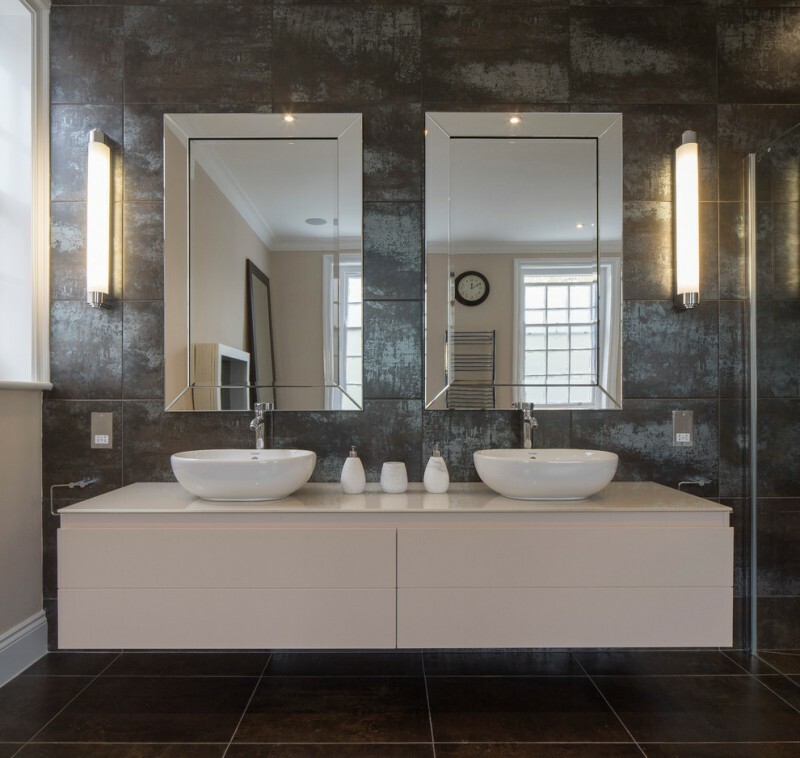 The dark wall tiles are filled with minimalist two mirrors and wall sconces. 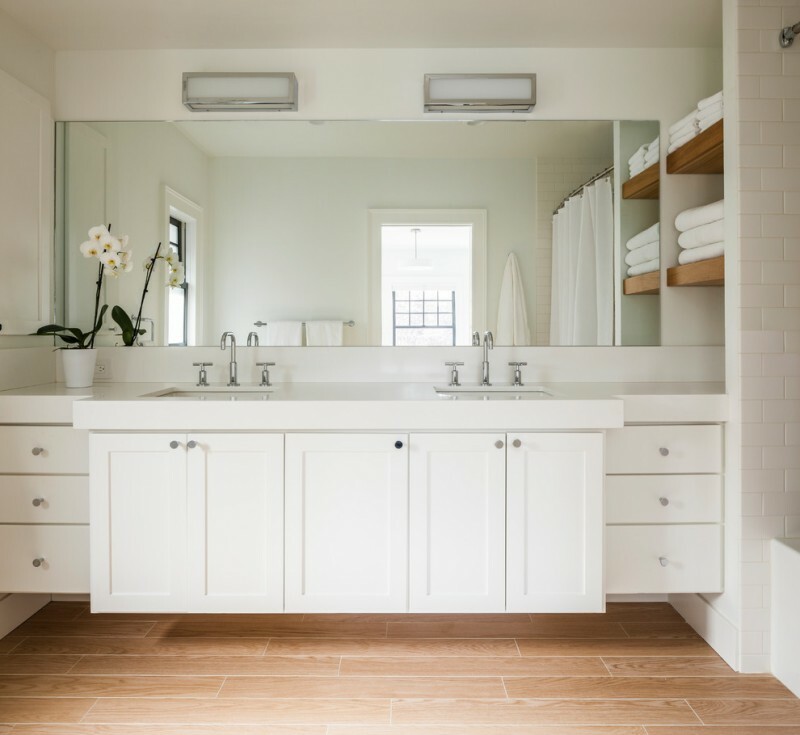 This white floating cabinet can make the footsteps in this bathroom look wider. 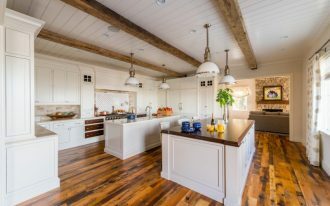 It also provides so many storages on the drawers and cabinets, double sink, wall sconces, and a wide mirror over it. This contemporary bathroom has a really unique floating vanity. 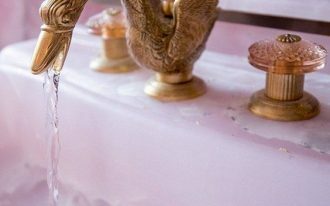 You will love how it looks like a natural stone that is glowing. 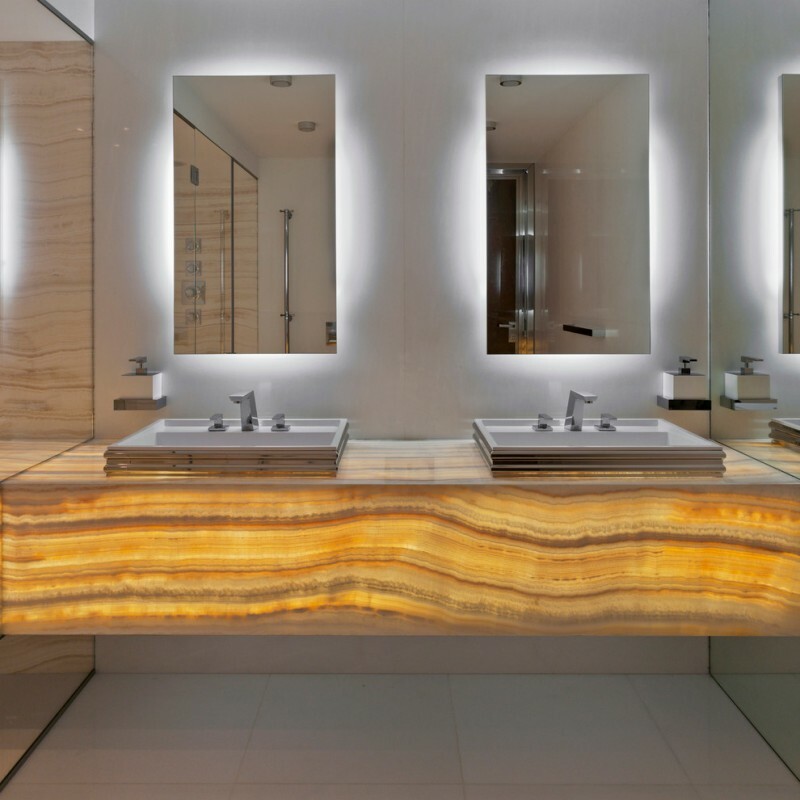 Besides the glowing vanity, this bathroom also provides mirrors with the back recessed lighting. This bathroom shows a simple and bright bathroom style with its minimalist freestanding tub, wooden floating vanities, and marble flooring. 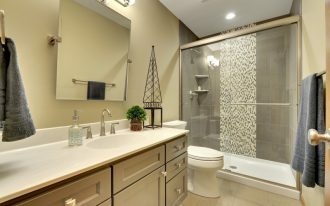 The bathroom features and the open windows make this space more inviting. Making more storage options in a double vanity is not always bad. This vanity has two cabinets, two open shelves, and some drawers that you can organize the bathroom needs easily. 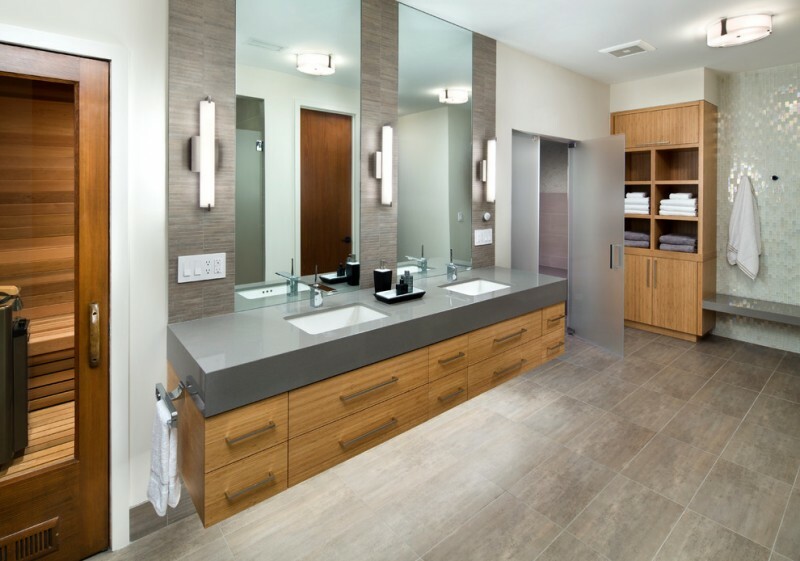 The quartz countertop for wooden bathroom vanity makes it more contemporary. 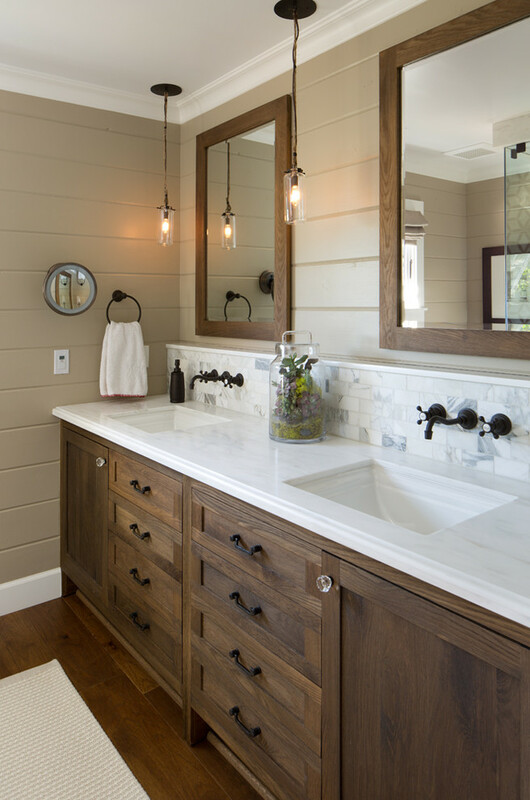 Applying more lighting fixtures for the bathroom will make the bathroom bright, you can install recessed lighting under the floating vanity beside the wall sconces above it. Omitting some drawers for a chair and foot space is a good choice to make a new look and function in your vanity. This stained oak vanity can be modified easily and put a stool as a seating. 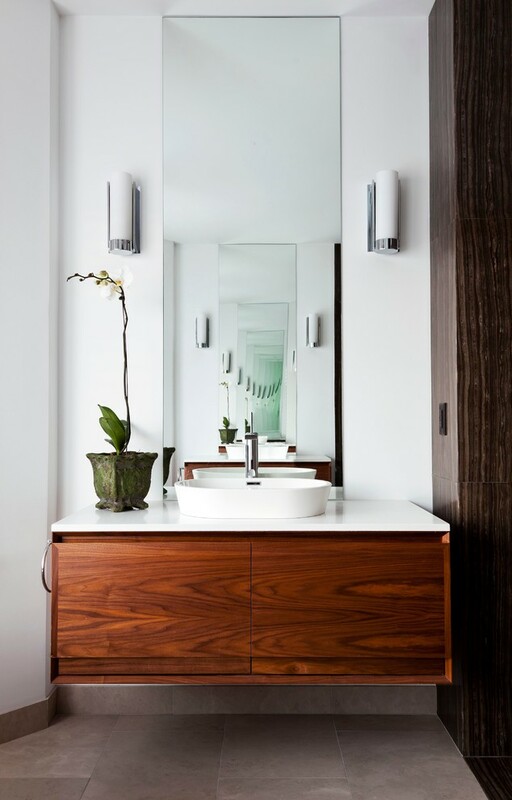 A floating vanity with minimalist design and neutral colors can be used for a small space. The white colored features such as white walls, white sink, white wall sconces, and white countertop, in this bathroom also makes the space clean and look spacious. 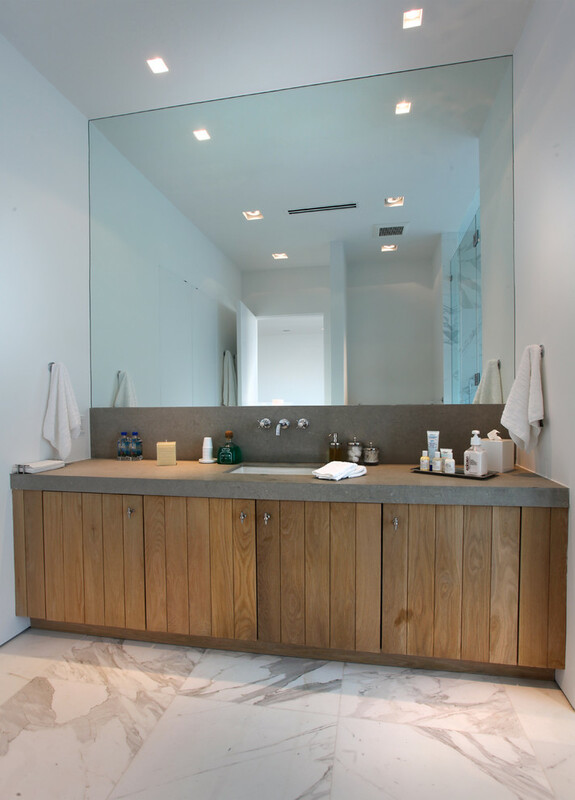 This custom wooden vanity makes the white marble countertop a stand out piece. 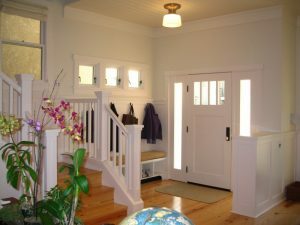 It is also completed with unique lighting features and black hardware. The vertical wooden trims create a new look in this traditional wooden vanity. It provides an undermount sink, a nice wall mounted faucet, a grey countertop, grey backsplash, and a large mirror that cover the wall.